To deliver training programmes and courses, which build the knowledge and skills of the community and partners we work with across the areas core to our aims; enterprise, health and the environment. To promote healthy lifestyles to the whole population and particularly those experiencing health inequalities, so their physical and mental well-being is improved. We believe in minimising our impact on the environment, whilst maximising the quality of our programmes and maintaining a financially viable business. To deliver this we have policies, procedures and programmes that ensure we embed this within all of our GCDA work. Here at GCDA we are promoting the Living Wage and encourage other employers to implement this great benefit and service to their staff. We believe that work should be the surest way out of poverty, and by getting paid the Living Wage, it will enrich society and promote fairness. 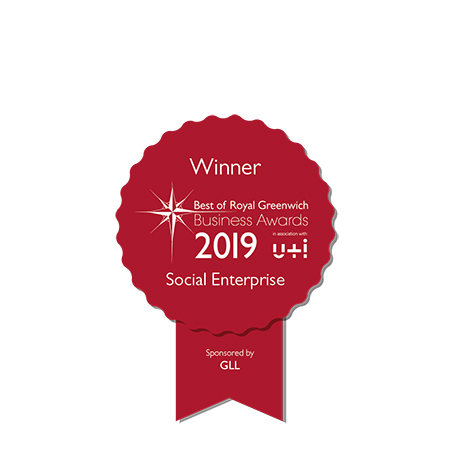 Our Good Food in Greenwich charter recognises and promotes this fairness in local businesses, and encourages businesses and organisations who pledge to consider this and how to work towards it. We have a comprehensive operational system to reduce CO2 impact and maximise the recycling and use of waste including food. In 2011 we were awarded the Carbon Smart Blue Award in recognition of the work we do as an organisation in this area. We employ a comprehensive, community needs, assessment approach to all our work which allows us to fully understand the audience we are working with, understand their views and incorporate them into our services; what they want, what their needs are, what they would like to see in place and how much they want to spend.